The most protective glove on earth, with ADVANCED CARBON TECHNOLOGY. The most advanced FIVE ADVANCED GLOVES™. 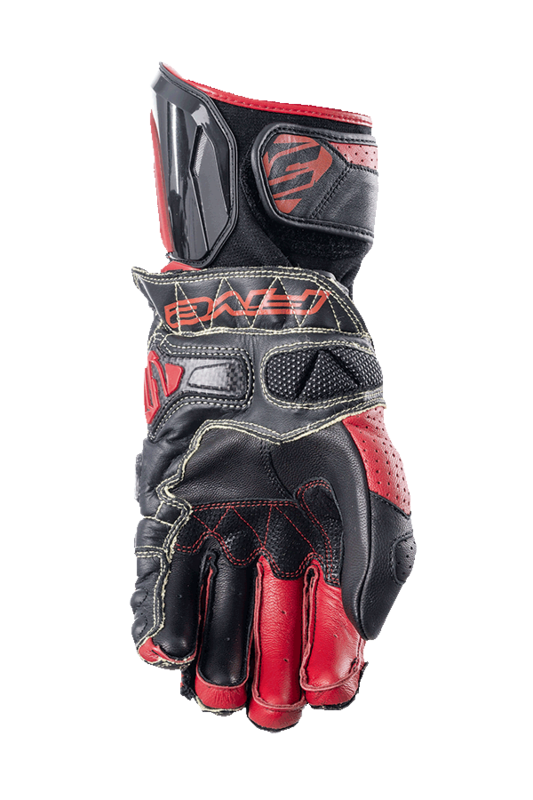 Designed for high performance, the RFX Race offers the highest level of safety currently available, thanks to its triple protective shell made of Thermoset Carbon Composite. This material, generally found in aerospace or Formula 1, provides exceptional abrasion resistance. This makes the glove more effective than an ordinary glove in the extreme situation of a long skid where the rider’s hand may be trapped between the road surface and the bike. Protection is maximized by the use of full grain leather, multiple reinforcements with traditional carbon and a Kevlar® lining. The palm features Digital Pittards® English leather reinforcement for optimal grip in wet conditions. The Velcro adjusting strap is concealed beneath a protective leather flap to reduce the risk of the glove being torn off in the event of a fall. The greatest attention has been paid to steering precision and comfort. 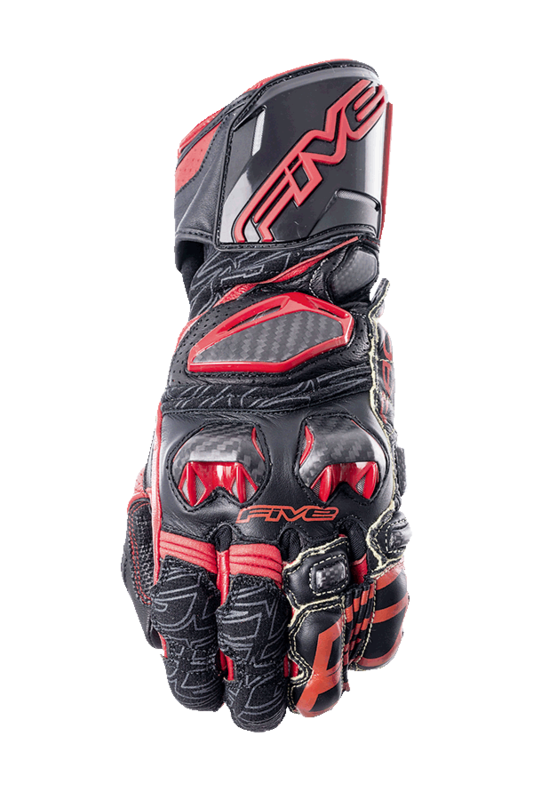 RFX RACE: This is the glove designed and used by official FIVE riders in MotoGP, SBK and Endurance World Championships.